If you love or hate cat videos, you have probably noticed them. Of course, unless you're running some related business, you might not include a feline friend in the video you hope to run as a social ad. At the same time, it's interesting to note that real scientists have studied cat videos to learn why they are such perennial favorites on social sites and YouTube. Even if you aren't a cat person, understanding why cat videos are so popular will help you understand how you can more effectively leverage a video ad to gather leads online. In fact, this research helps to explain why video ads tend to work so well in general. Why do people watch videos and in particular, cat videos? According to studies reported upon in the Huffington Post, people watch videos to help them regulate their emotions. In particular, videos of our fuzzy and furry pets seem to help improve moods. In fact, the scientists found that the effect was very similar to the way that therapy pets help improve moods. In other words, our minds react to videos almost the same way that they react to actually experiencing an event in person. In that way, videos can be as powerful as actual memories. With this in mind, your company can use video in a Facebook ad, Twitter ad, on YouTube, or even on your website to appeal to your audience's intuition. You can present bite-sized facts, associate them with emotions, and then let your customers do the rest in their own minds. This reasoning explains almost everything you need to know about why videos ads can convert more of your ad viewers into leads; and it may also help you achieve better results if you stay focused on letting people feel good about their decision to do business with you! Videos can help make your website and other online platforms more visible to your potential audience. They also tend to a great job of converting those viewers into your prospects and customers. Finally, creating a video does not have to cost a lot of money, and you are bound to enjoy great returns on your investment. If you would like to enjoy all of these benefits, it might be time to get excited about creating a video ad for your company or your client. Did you know that Facebook users watch 100 million hours of video each day? It's true that YouTube, Facebook's biggest rival for video traffic, attracts 600 million hours of video watching daily. While YouTube might have a larger audience, the biggest social network offers some different opportunities than YouTube does to get brands noticed and consumers engaged. For example, people tend to search YouTube for more in-depth content; however, a Facebook ad will show up in a user's feed. If you haven't considered using video for Facebook advertising before, you may find that it provides you with a powerful way to improve brand recognition and engagement. You can even use these ads to help generate more views for longer video advertisements on your site or on YouTube. Still, if you hope to do well on this social network, you should tailor your Facebook advertising for your audience and the platform. While it's true that Facebook users consume a lot of video, the number of Facebook video ads have also increased by as much as 75 to 100% each year. Since social media users won't find this kind of content a novelty, you'll have to capture your viewer's attention by producing appropriate, high-quality videos. Facebook considers a video thumbnail to be an image, which means that it is subject to the Facebook 20-percent rule. In the past, taking up more than 20% of an image with text would result in a quick ad rejection. However recently, Facebook has become somewhat more flexible about this, according to the Facebook Ad Guide. Still, they make it clear that most images that contain too much text will get less or even no delivery, so that's not really an encouragement to use a lot of text on your video thumbnails. In almost all cases, you should stick to the 20-percent rule. Still, it's also important to know that Facebook may grant exceptions for things like book covers and movie posters. If you think you deserved an exception, but your ads aren't getting delivered, you might try contacting Facebook. If this doesn't resolve your problem, you should probably test a graphic with less text. Facebook also offers a text check service to help you follow the 20-percent rule which you can use to check if your video thumbnail fits the requirements. According to Facebook's own financial reports, 84% of the advertising revenue that the company brings in comes from mobile devices, so you certainly want to please Facebook mobile users. This is probably why Facebook suggests creating your video with mobile users in mind. For video ads that don't contain links, Facebook suggests a full-portrait aspect ratio of 9:16. However, if you want to experiment with video link ads, you should stick to a square format of 1:1. The video file cannot exceed 4GB. To ensure the best results, you may want to consult this full page of Facebook video design suggestions. If you browse Facebook on your PC, you might notice that many videos start playing automatically. Very often, mobile device users disable autoplay because they want to conserve bandwidth when they aren't connected to Wi-Fi. That means you'll need to create a catchy thumbnail of your video in order to attract attention. To create a video thumbnail, you might choose one of the selections that Facebook will automatically generate for you when you create an ad. If you prefer, you can also upload your own image. Marketers who work with large businesses keep all sorts of metrics about their video ads. When Social Media Examiner studied how long people actually watch their videos ads, they found that they experienced the largest loss of views after only about five seconds. After that, they had very few viewers left after a minute has passed. This data convinced them to create videos that didn't last more than 30 seconds and contained a good hook within the first two or three seconds. Interestingly enough, Facebook's own guide to video suggests videos of only 15 seconds. It's fair to assume that they based this on their own metrics. In any case, it's almost always good advice to create short and punchy videos for social networks. You can reserve longer videos for your own site or YouTube. 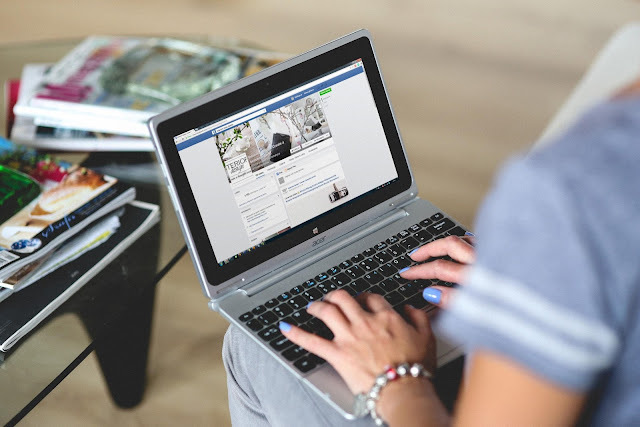 Facebook video ads offer you a great opportunity to connect with social media users. Beyond the basics of optimizing your ads and images to perform well, and in order to get the best value from your investment, you should also explore some effective ways to find your audience and customize content for the platform. There's little doubt that your video ads can help you reach a massive audience. At the same time, you need your ads to perform as well as possible to recoup your Facebook advertising cost and maximize profit. In the past, Facebook videos were set to autoplay without sound. Viewers need to take an action to turn the sound on. This made captions critical. With captions, viewers could still understand the message even if they didn't care to turn on audio. Facebook reported that captions helped increase the time that average viewers watched a video by an average of 12%. In this environment, adding captions seems like a great idea in most cases. Despite the fact that Facebook also admitted that they found 80% of site users don't like autoplay with sound, the company has announced they will experiment with turning the sound on automatically. Still, it's best to assume that many Facebook mobile and even desktop users will opt to keep sound muted. People who may browse Facebook at work or on the bus probably won't benefit from having the sound turned on automatically. If you want to connect with your audience, you should think about the ways that they will consume your videos. If you managed to keep your viewer's attention all the way to the end of your video, you certainly don't want to lose your audience after your video concludes. Since you should have marketing goals for your Facebook video, you want to make sure you conclude your video by reinforcing those goals. You can craft a call to action to make sure that your viewers know what you want them to do next. Good salespeople will always tell you that you have to ask for the sale. Even if your goal isn't a sale, you still need a call to action. If the goal of your advertisement is to get your audience to like your page, click through to your website, call your company, or buy something, don't be shy about communicating that by reinforcing benefits and asking them to act. Make sure you end your video with a clear call to action to prompt your viewers to take the next step. When you create your advertisement in Facebook, you can check a box that only sets the video to autoplay when the user has a Wi-Fi connection. If your viewer only has a 3G or 4G connection, your video may not perform very well, and you certainly don't want to start your relationship by annoying Facebook mobile users. As you learned in the first part of this series, you can create an engaging thumbnail to capture attention even if autoplay is not turned on. If you do a good job with your thumbnail, some people may respond to your advertisement anyway. Others might wait until they have Wi-Fi connected to watch your video. Marketers can really benefit from Facebook advertising because of the way the ad system lets them define an audience. To meet and exceed your goals, you should always create your video ads with specific audiences in mind. In fact, you'd probably be prudent to create different videos for different buyer personas and marketing goals. If you run an online shoe store, for example, you might want to display different kinds of walking shoes to college students than you show to middle-aged folks. Even if you show the same shoes, you might want to tailor your videos differently to people in these different age groups. For example, younger people may worry more about performance and style, but older folks might be more concerned about relief from joint or back pain. Of course, you can define metrics like age and location with video ads. However, Facebook also lets you create audiences with different historical levels of engagement. For example, you can create an audience that has watched a certain percentage of your video, and you could use this audience for retargeting ads that might be shorter and more tailored to their taste. You can use your Facebook video ads to reach a massive audience. At the same time, you have to recognize that you may face stiff competition for the attention of your audience. You don't have to produce award-winning videos to compete in this market, but you should take some time to tune your content and advertising display to the platform and the audience. Since every market, company, and audience is somewhat different, you may also need to spend some time testing until you find a formula that maximizes your profits. Anastasia Melet is the Communications Manager at Animatron, a video and animation software company. Anastasia has progressive experience in communications and storytelling in IT, both B2B and B2C sectors. She's mostly passionate about social media, online advertising and content creation. You can follow her on LinkedIn.